One of my young adult sons called me recently to rave about a Japanese dinner he’d had with his brother. And then, in a more contemplative mood, I wondered why are my sons’ palettes so much more adventurous than mine, when they share my genes and grew up with my cooking? I was fascinated to read Rachel Herz’s recent book That’s Disgusting for some clues. She argues that a big part of what we find disgusting we are taught in the particular culture we grow up in. Most cultures have a fermented delicacy that most members of that culture revere but people outside the culture may find repulsive: Like shark corpse left to decompose for several months (Greenland), or Chicha, a blend of boiled maize and human saliva (Ecuador), or maggot cheese, swarming with live insect larvae (Sardinia). People from other cultures may turn up their noses at our smelly blue cheese, complaining that it smells like dirty socks. But, my sons were raised in the same cultural setting as I. So why can they eat raw meat and raw eggs, while I feel queasy at the very idea? One answer came from another study that looked at more than 5000 pairs of twins, ages 8-11, and found that food pickiness is mainly inherited. In fact, the lead author, Lucy Cooke, found that 78% of food aversions are genetic, while only 22% can be attributed to environmental factors such as the level of tension at the dinner table or the way new foods are introduced or the quality of the cooking. Perhaps, my sons’ taste buds were inherited from their father, who will try anything and finds almost everything delicious. • Children like what they know, and the best time to make them familiar with a wide range of foods is soon after weaning, or before age 2. 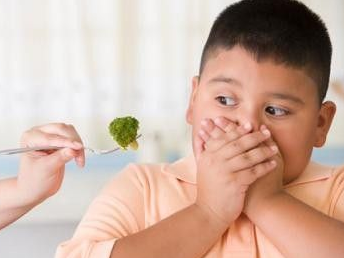 When young children are introduced to a wide range of foods, they are more likely to maintain a more accepting palette, even during the fussy preschool years. • According to an Australian researcher, Dr. Yolanda Martins, it is the texture of food —slimy, slippery and mushiness – which we find most disgusting. Martins claims that tomatoes, mushrooms and onions are the three most often rejected non-animal foods. So, if your child repeatedly rejects a food, you might try offering it in a different form with a less slimy texture. Puree sautéed mushrooms and onions into a soup and see if that renders the vegetables more palatable. • Disgust, according to Herz, is the last emotion to show up in our developmental repertoire, after happiness, which comes first, anger at about four months, and fear or surprise at six or seven months. We learn disgust through potty-training, and it’s a positive evolutionary step since disgust protects children from ingesting toxins as they become more mobile and start to explore their worlds, often through their mouths. Food pickiness tends to peak during toddlerhood, so try to introduce a variety of foods before that time, and then try again when your child is older. Don’t label your child as picky — you may find that his or her taste buds become more flexible during school years. Disgust sensitivity, according to Herz, will wane as we age. Maybe, by the time I turn 80, my sons can take me out on the town for a dinner that features raw eggs with uncooked pork sausage. But I doubt it! This post also appeared on WBUR’s Public Radio Kitchen blog. Picky eater image appears via. What if your picky eater is 13. I feel I am too late. Dinner has always been a struggle for us. It would get to the point where he would gag and sometimes throw up if we made him try something new….and I don’t mean anything real funky….maybe potatos or tater tots. Corn on the cob is the only vegetable he will eat and apples for fruit. I’ve always thought about the theory of over sensitive taste buds. I thought he would grow out of it, but now I don’t. I’ve even thought about hypnotism. Would that even work? Thanks for listening! nah, he’ll grow out of it. when I was 13-18 I hated most greens, now I love em.